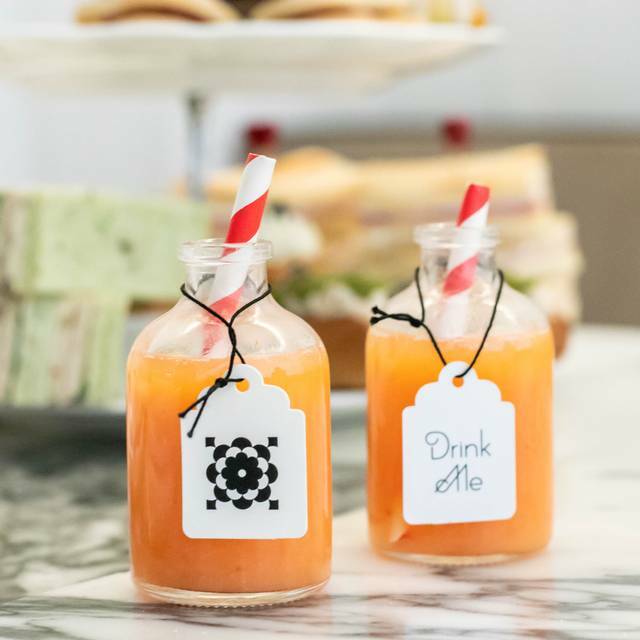 You must make bookings at least 5 minutes in advance of the time at Mad Hatter's Tea at Sanderson. 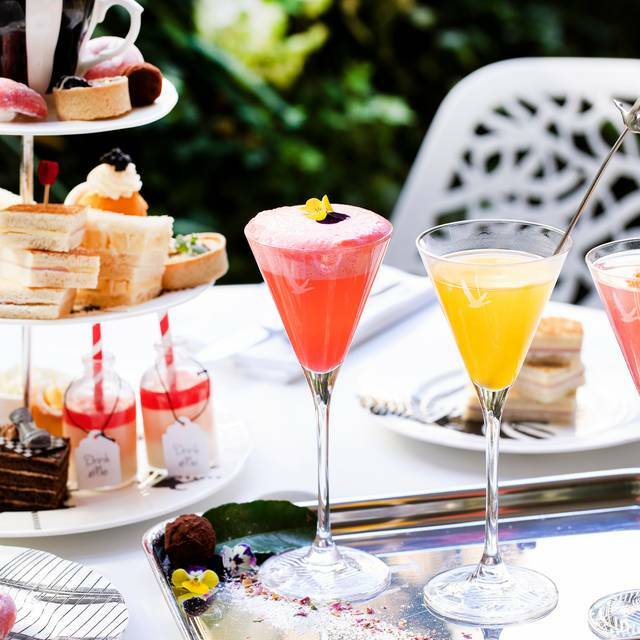 From £58pp for the full tea stand and a cocktail 'flight'. CC security require for groups of 4+. Please note that this offer has an age restriction of 21 and over. Food was mediocre and flavorless and drinks weren’t particularly good. Overall, it wasn’t great. Booked for daughters 18th birthday. Absolutely lovely. We really enjoyed the whole experience, and were so surprised when at the end, the waiter arrived with a birthday cake. We would heartily recommend this, and would definitely come back. On your website it sounded as if it would be a really mad hatters tea it wasn't they had loud music paying and the service wasn't to good. wouldn't do it again. its a shame as it was my granddaughters birthday and we went there as a treat. My granddaughter and I thoroughly enjoyed our Mad Hatter’s Cream Team. We both had special dietary needs which were met perfectly. The staff were extremely attentive and helpful and the food was delicious. Thank you for a great experience! 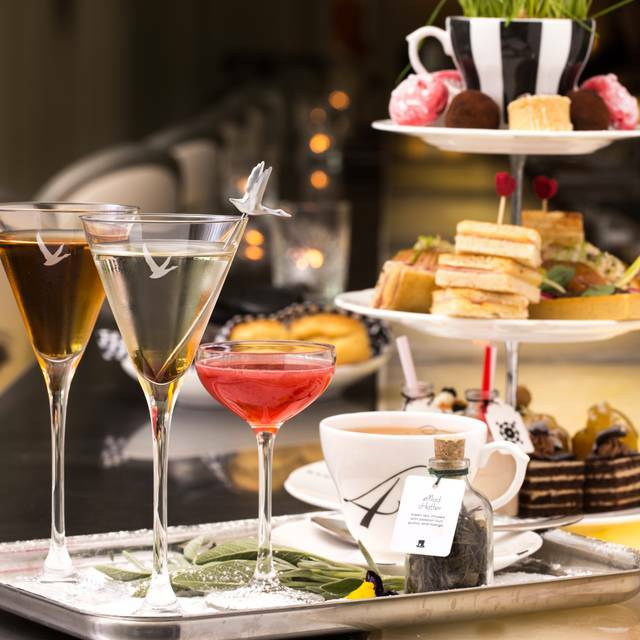 As we went at 7pm I hadn't realised when I booked that we would be having the Tipsy Madhatters Tea.....well I can honestly say it was a very pleasant surprise. 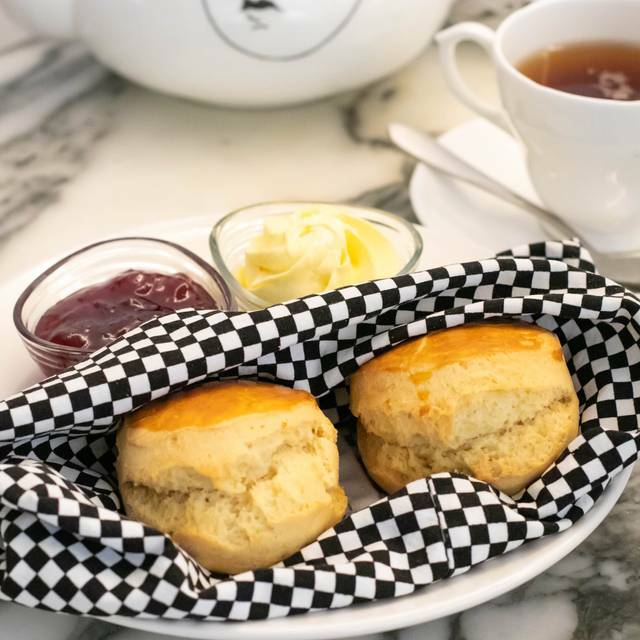 My daughter and I love quirky afternoon tea's and this didn't disappoint. The only reason I've put 'quiet' is because we went on a Monday evening. So if you'd like a bit more atmosphere I'd go Thursday onwards. It certainly didn't affect our enjoyment of the evening. The food was original and very tasty..... and the Tipsy treats were unexpected. Compared to other places we've been to I thought the cost was very reasonable and would not hesitate in recommending it. BTW the staff were very attentive - which these days seems to be a rarity. Enjoy. 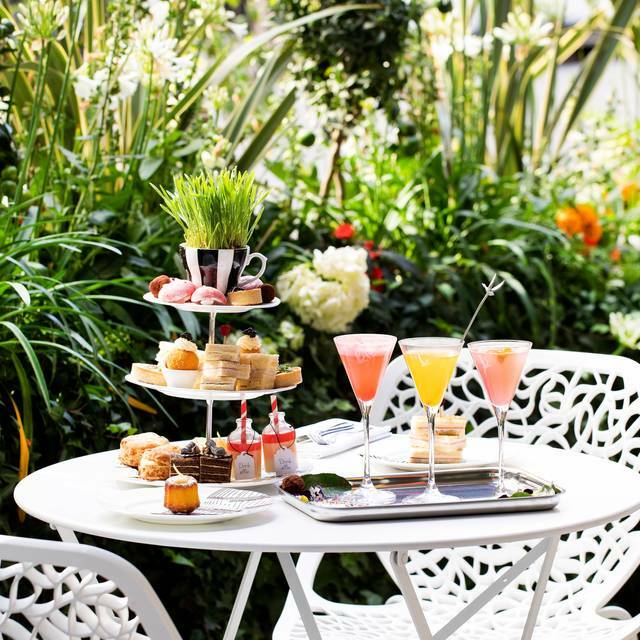 Overall we were disappointed with the afternoon tea at Sanderson Hotel. The service was not attentive (we felt ignored by staff), the food was quite poor quality (we really didn’t enjoy any of the cakes). Probably best if you have kids to do this with but might select something different next time for just adults. Service was great though! Great for Kids, a bit over priced for adults. Great first experience of a true British Tea. The Alice in Wonderland theme made it fun for my 9 yr old. Each tea and treat had a unique Alice related description. The service initially forgot to bring our tea to the table, but when I asked for it, they were so kind and apologetic, it really made our service even better. The manager even came to apologize and made a special set of sandwiches for my daughter who doesn't like cheese. Overall I highly recommend! We loved our afternoon tea experience. The food was a fun and very good but the balance of sweet and savoury was a bit too much towards sweet for us. The food is not good at all, nothing special and are overpriced compared to others. I would recommend this afternoon Tea to friends. But I feel the afternoon tea should of had more savoury options so the sweet options weren’t too over powering. We went for the Tipsy Tea and whilst a bit overpriced it was a good experience. The vegetarian option was lovely and kept right away from my food which contained fish. The cocktails were smaller than I expected but acceptable. We were treated to excellent customer service and the staff really could not do enough for you. One bit of a feedback is that the area needs to be decorated a little, some fairy lights and maybe a few well placed, tasteful Mad Hatter themed props would have made it a more enchanted evening. The meal was amazing, the waiter was very personable, and the theme was adorable. Service was terrible - had to ask for everything: Drinks - (extras and coffee), bill etc. We were also waiting for 40mins for the food - which is ok as we ate fairly quickly once it did but we were starving by then! It was nice overall but not amazing.. shame. A delightful treat for my 30th birthday. I would highly recommend. Arrived early for wife's birthday tea. Had a drink at long bar inside hotel ,DISCRETIONARY TIP added onto bill without asking. Then sat at table waited over 30 mins after Tea was served for cake stand with sandwiches and cake to arrive. Sandwiches were not fresh and bread starting to go hard, waiters were too busy chasing pigeon from tables. Once bill arrived another DISCRETIONARY TIP added to bill. All in all a very expensive afternoon tea , for very little . STYLE OVER SUBSTANCE. I really enjoyed this afternoon tea. The hotel was interesting in its design, the courtyard was perfectly fine with our view of the Zen garden. My girls (14 & 11) even drank tea because of the novelty choosing their flavour from tiny glass bottles! Sandwiches were delicious and more than enough themed cakes to please even the biggest sweet tooth. We asked for more sandwiches when desired and then had excess cakes packaged up to take home. Staff coped well with our savoury likes and dislikes, swapping between the standard, veggie and vegan options! Excellent in every way! Outstanding food and service we absolutely loved it! Absolutely fantastic! Took my mum there as a surprise for Mothers Day. Amazing food, perfect setting and friendly, helpful staff. This was great! Recommend it to all ages! You can pick from a variety of teas and menus. Delicious! The service and food were amazing but we we seated in an outside covered area which had heaters and blankets but it was still freezing. I couldn't take my scarf and coat off the whole time which was a shame. I would not bring small kids - otherwise I would recommend. And no, I was not traveling with kids. 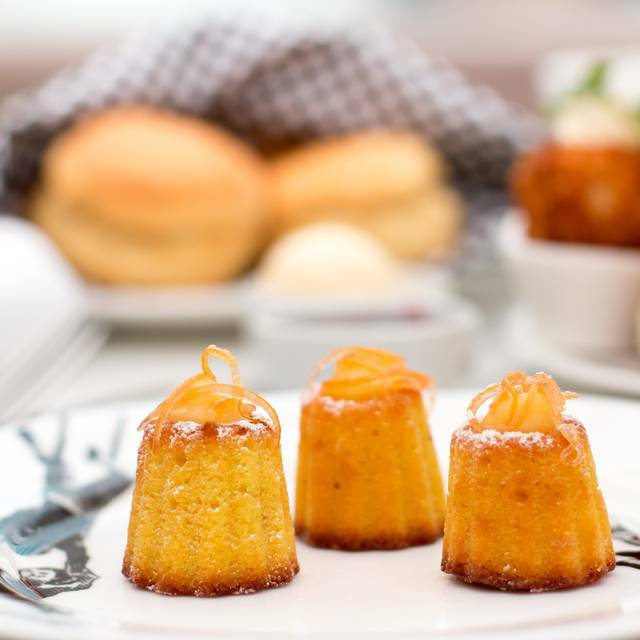 Generous and delicious tea, with an inventive range of treats and an interesting menu of teas to try. Out in the garden courtyard the ambience was nice, and the staff were attentive but busy as we visited on Mothers' Day. Great afternoon tea. Real variety and our daughter enjoyed it too (ham and cheese toasties in the savouries helped). Was a bit cold at times as heaters not always on. 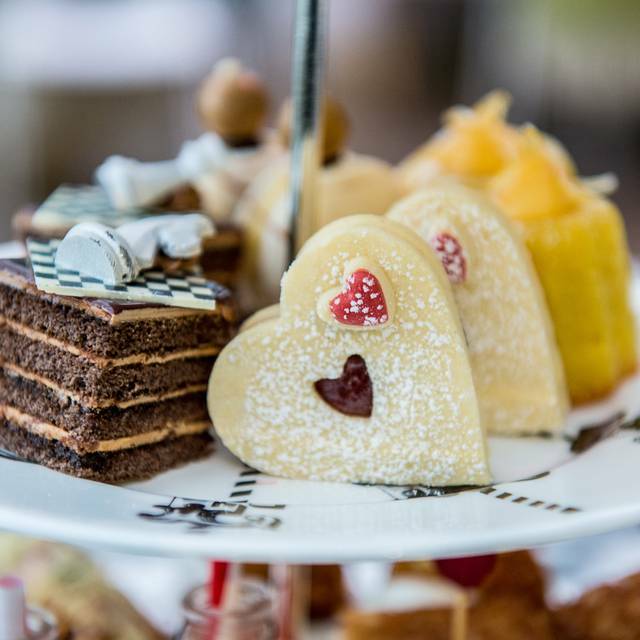 We celebrated Mother’s Day with the Mad Hatter’s Tea and it was superb! Thank you to the friendly staff for making us feel so very special! Over rated and not worth the value for afternoon tea. No decent theme or decoration in the garden the tables were chipped and broken. The food presentation not great. Food was lovely, however environment was quite loud with children running around. Waitress implied Champagne Afternoon Tea was standard and therefore jooped me into ordering it. Lovely afternoon tea. Sandwich choice a little grown up for my 8 year old daughters taste. Cakes & scones were delicious! Great fun. Loved the menu in the book and the crockery. Food, designs and flavours were amazing. Different types of tea were brilliant. All in all a great afternoon tea. 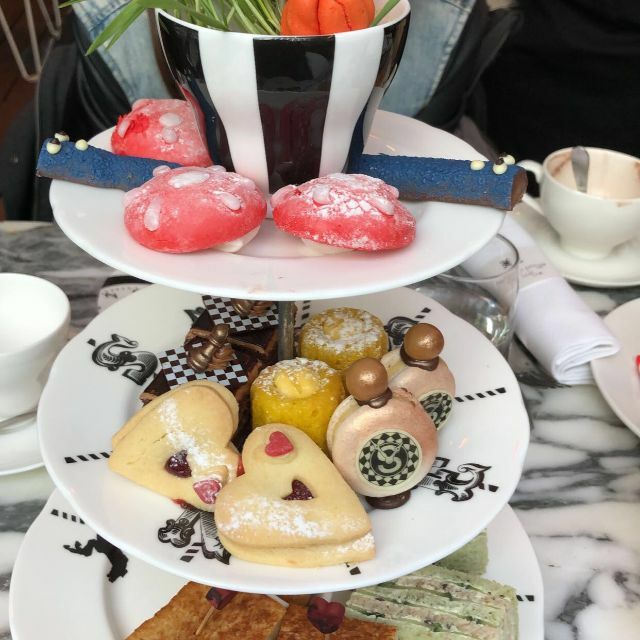 The Mad Hatter themed afternoon tea was incredible. 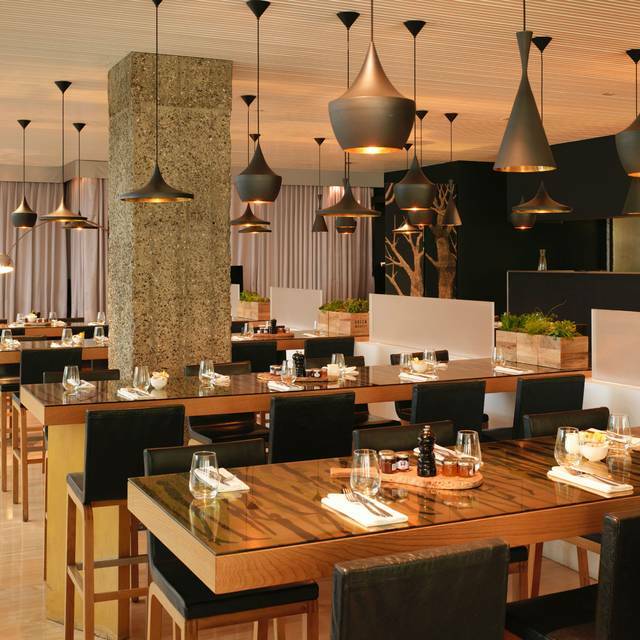 The service was top notch and the food was excellent and plenty of it. They were very accommodating to the children with us who wanted different forms of the sandwiches available. The tea was wonderful and I would highly recommend it.